Our product range includes a wide range of optical brightener ob, optical brightener ob-1 and optical brightener cbs-x (e-value: 1105 - 1140). 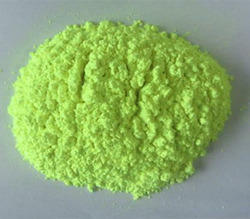 Solubility: poorly soluble in water, soluble in alkane, mineral oil, and common organic solvents. Uses: in whitening and brightening PVC, polystyrene, polyethylene, polypropylene, thermoplastic plastic, ABS, cellulose acetate fiber, coating, paint, ink, etc. 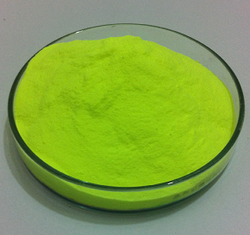 Optical Brightener CBS-X is a disulfonic distyrylbiphenyl biphenyl compound, it is an excellent brightener used in detergent industry. It is easily soluble in water and has better whitening effect on cellulose fiber, polyamide and proteinic fiber at room temperature. It has high brightness on cotton cloth upto 2.7 times diphenylethylene tristriazine derivatives and has good dispersion properties. 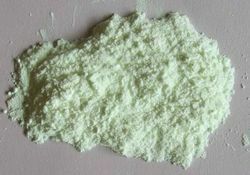 It is highy stabe with sodium hypochloride; it is bleach resistant optical brightener. STORAGE: Should be stored in cool, dry and ventilate place, stored term shouldn’t exceed 2 years.